Samsung Galaxy On Nxt With 1.6 GHz Octa Core Chip Announced! Home / mobile / news / samsung / Samsung Galaxy On Nxt With 1.6 GHz Octa Core Chip Announced! In India, Samsung has launched a new member of the Galaxy On family, the Nxt. A midranger that resembles the Galaxy J7 Prime in design and specs. Just like the Galaxy J7 Prime, the Samsung Galaxy On Nxt is equipped with a 5.5 inch FHD screen together with a 1.6 GHz 64 bit octa core processor. It also has 3 GB of RAM, 32 GB of expandable storage, and 3,300 mAh of battery capacity. Related: Samsung Galaxy J7 Prime Impressions - Loaded With Goodness? On the cameras, they're still identical. 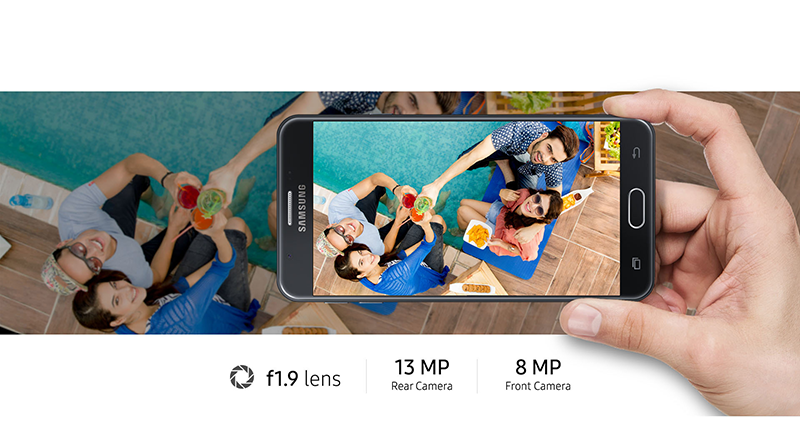 It has a 13 MP main shooter at the back and an 8 MP selfie snapper in front that both has f/1.9 aperture lenses. Then there's Bluetooth 4.1, GPS, Glonass, Beidou, LTE, and fingerprint scanner. The only difference that we can spot here is it is slimmer by 1 mm against the Galaxy J7 Prime. So technically, there's a good chance that they're the same device after all. The Galaxy On Nxt is priced at INR 18,490 in India right now which is around 13.3K in Philippine Peso coming from direct conversion.